During the 20th century, starting a business was an expensive and time-consuming endeavor. Payroll and accounting, logistics, manufacturing and advertising were all aspects of business requiring several steps and a lot of resources. Identifying and advertising to your market audience used to require literal legwork. Going door-to-door for product sales or handing out brochures were the sole methods available to the startup business without buying television or radio advertising. Those days are long gone. Startup businesses in the 21st century can reach hundreds of thousands of people a day, all for the price of a Wi-Fi signal. Social media has become an equalizer in brand development and expansion. Between sites such as Facebook, Instagram and LinkedIn, your fledgling business can garner a massive amount of attention from your desired market. A primary benefit of starting your own business is the location. The majority of small businesses begin in the home, which cuts down on a significant amount of overhead costs. There’s no unnecessary utility costs or office space rent. Gas costs and car maintenance will inevitably go down since the business is in your house or apartment. Thanks to the surge of entrepreneurs and small businesses in the last decade, even eventual staffing needs can be handled with minimal costs. Virtual assistant services and telecommuting can reduce employee costs significantly, easing the strain on a new business regarding insurance, workspace and health benefits. Financing has always been an issue for new businesses and business owners. Securing investors and funding, as well as meeting payroll needs, are all aspects crucial to a business startup. With the advent of new technology, such as the use of online websites and social media, entrepreneurs can increase their opportunities to connect and gather financial resources. The global marketplace and the downward trend of technology costs give business startups access to a wider consumer audience. Thanks to sites such as AngelList and CircleUp, angel investors have an easier time locating and connecting with entrepreneurs and small businesses. Another investor trend on the rise is crowdsourcing and donations. Once dominated by the nonprofit sector, through online platforms like IndieGoGo and Kickstarter, new business owners can gather funding from a near-unlimited number of sources. A valuable aspect of any new business will be flexibility. If you find your product or service works better in a different marketplace, changing direction is simpler with a new business than with a more established company. As you continue building your business, new opportunities through social media platforms can be found for market diversification. In the past, it took a great deal of funding to identify new markets for any company. New businesses needed to wait for further financial growth in order to expand their audience, but thanks to modern technologies and tools, these expansion opportunities can be found and exploited much sooner. The world is changing, and so are consumer markets. What people want to purchase and invest in are becoming more different with every generation. Young shoppers use technology more than older generations, entertainment mediums are changing and product advertisements have been forced to evolve with the times. All of this equals a new environment for innovative business ideas to flourish and thrive. Instead of narrowing and bottlenecking, consumer markets are broadening, making room for as many new businesses as possible. CEOs and executives actively search for emerging businesses all the time. 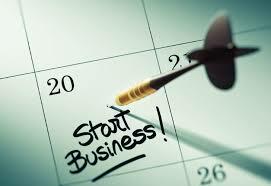 When you start your new business, your most valuable feature is your product or service. What do you offer? The answer can be the difference between success and failure for an entrepreneur, but these are not the only benefits to innovation. Established companies are constantly searching for new ways to expand their product lines. One of the fastest ways for a large company to leap onto a new market platform is to purchase a fledgling business with growth potential. Outline your business plan right, and you may find all the funding your new business will ever need from one pitch meeting. The need to fill an office with personnel is less relevant to startup businesses than ever before. From online sites like Freelancer and Upwork to digital assistant applications like Alexa and Siri, initial personnel costs are less a factor for entrepreneurs. By utilizing these available platforms, you can redirect personnel funds to other areas of your developing business. There are a number of tax benefits entrepreneurs qualify for. A home office opens the possibility of deducting property tax, utilities, repairs and maintenance against your business income. As long as your home serves as the principal place of business, valuable tax deductions are available in numerous areas. These deductions can and will add to your growing income, rather than subtract. It’s important to know such benefits and aspects of business accounting, although more and more entrepreneurs are outsourcing their tax returns in order to maximize results. With easy and affordable options, it’s easier than ever to maximize your business returns without doing the work yourself. Real estate has been a factor in business since capitalism began. Storage, office space, advertising and sales all have that need in common, which is what makes the online store such a big deal. Now, not only can a business begin and operate in a home or apartment, but sales can also occur exclusively online. Amazon, Craigslist and eBay are only a few of the digital platforms available for product sales. By utilizing them, new business owners can save themselves huge costs in renting or owning retail space. Starting a business has never been easier. As technology continues to improve and become more accessible to the public, it’s a trend that shows no signs of slowing down.